Our 2017 Estate Chardonnay is a beautiful, crisp, clean, yet savory expression of the Russian River. A fun, flavor-rich chardonnay with aromas of exotic tropical fruit, lemon custard, and spice! Each year our goal is to achieve the seamless balance between the old world and the new world, while maintaining “a sense of place” or terroir – the special characteristics of a region that share similar soil and weather conditions that are unique to that one place on earth. In addition to this focus on terroir, we always strive to highlight the subtle nuances that make each vintage distinct. 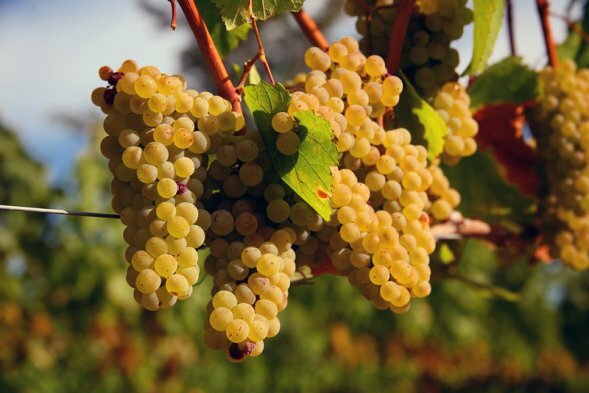 The Chardonnay is farmed from estate vineyard in the heart of the Russian River Valley. We use only earth friendly farming practices (organic & biodynamic) and hand-pick all of the grapes only when they are perfectly ripe. The Chardonnay block on Soul Patch Vineyard sits at the very bottom of the eastern facing hillside. This is an extremely cool pocket of the vineyard, which allows the fruit longer hang time, resulting in bright, beautifully balanced acidity. The grapes are brought into the winery where there they are hand sorted and whole cluster pressed into juice (different from most other wineries who crush first), garnering more brilliance of flavor from the grapes. 70% of the grapes are placed into French Oak barrels to undergo full malolactic fermentation, helping to develop smooth round textures and add richness to the wine. The other 30% is placed into stainless steel barrels, thus preserving the fruit and acidity which highlights the purity of our vineyard. The wine is then aged in the respective barrels for one full year. Just before bottling the oak & stainless steel barrels are blended.